1, Browse the products pages and choose the model you like. 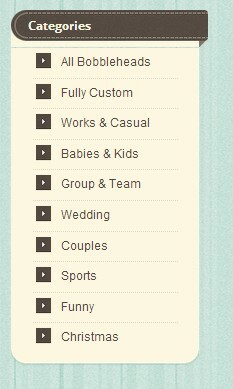 You can choose the bobble head models in different categories. If you have no idea what type of bobble head your expected one belongs to, please browse the category of all bobbleheads and pick your favorite one. 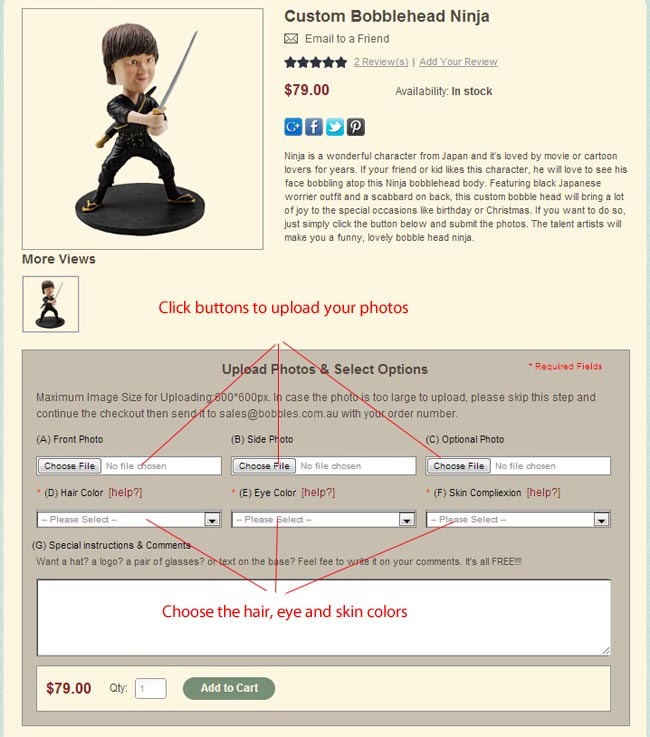 In any cases if you don’t like the pre-models, you can design your bobblehead from head to toe by choose the items in category of “Fully Custom” with is at second row of the categories list. 2, Submit your photos and choose the required options. On the light brown area of the product page, you will see a option box unfolded. Your will be allowed to upload the pictures and choose the options. Please upload your photos by clicking the “Browse” buttons and choose the hair, eyes and skin colors. If the photo sizes are too big to upload, please skip the uploading step and just choose the colour options then send your photos to service@bobbles.com.au. When you have added the product into your cart, you will be lead to the checkout and payment section.